uPVC door locks come in various types and are generally known as multi-point locks. The number of locking points varies. Hot and cold weather affects UPVC doors and windows and can cause locking mechanisms to become jammed. In the majority of cases the door may only require toe and heeling to rectify the problem. However if a new lock is required, this will fall into two main part the euro-cylinder or the multi-point Lock. There are a number of hardware parts that can fail on UPVC windows, which we can repair or replace. Espagnolette locking incorporates a gearbox, which varies from window system to window system. it is this part of the lock which invariably fails. Our locksmiths carry the most commonly fitted locks on their vans, so in most cases can replace these on a first visit. If a second visit is required we will identify the parts and aim to return the same day. Friction stays are the component parts which hold the window open. When these fail it causes the window to jam or become difficult/impossible to open. This is particularly dangerous in bedrooms where escape may be required in the event of fire. Our locksmiths carry the most commonly used friction stays on their vans so can replace faulty or broken hinges on our first visit. If not we will aim to be back on the same day with the correct parts to complete the job. Handles can come under the heading of cockspur, inline espagnolette and cranked espagnolette. These may or may not have a key locking facility. Our locksmiths carry the most commonly used handles and in m most cases can repair or replace this on our first visit. 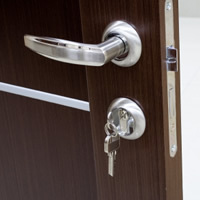 Cylinder rim locks are commonly known as Yale locks. There are two ways in which this type of lock can be replaced or repaired. If you have lost your keys we will change the barrel/cylinder only and provide new keys which are a cheaper alternative to replacing the complete lock. If the lock housing is broken or damaged we will endeavour to repair it, if this is not possible we will replace the entire lock including the cylinder. Mortice locks come in various types and are recognised by the amount of locking levers within the lock. Insurance companies insist on a five lever mortice lock conforming to BS 3621 When replacing mortice locks we would always advise to have a BS approved five lever lock fitted. These doors can have one or any combination of all the locking types mentioned above. We also supply and fit garage door locks and window locks in.